Last week Pew Research published their report, Wide Gender Gap, Growing Educational Divide in Voters’ Party Identification. 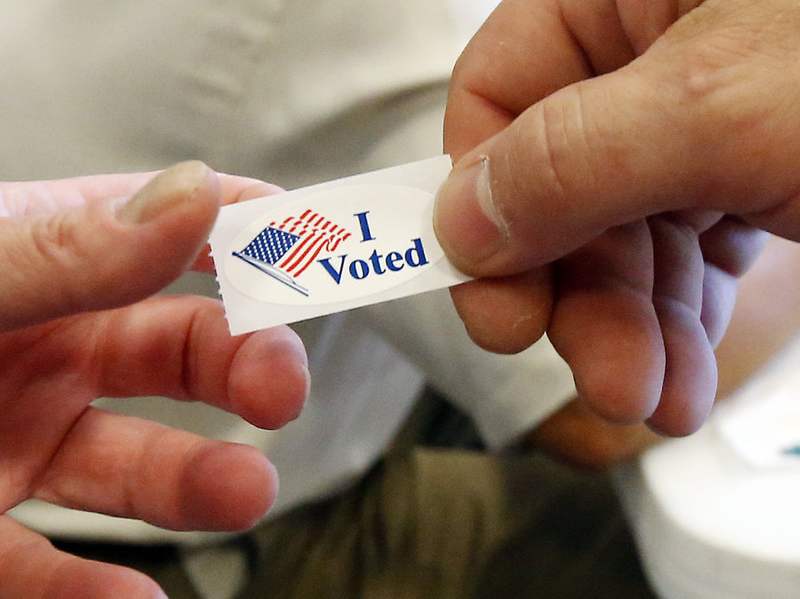 The findings from Pew Research are based on more than 10,000 interviews of registered voters. Since the last midterm election in 2014, Pew found some notable changes in party identification among several key groups of voters. Persistent gender gap. 56% of women now identify or lean Democratic; the highest since 1992. By contrast only slightly more than one third, 37% of women identify or lean Republican. Based on the President’s demeaning behavior towards women, I’d bet this figure drops a few percentage points. Record share of college graduates now align with Democrats. Voters who have completed college make up a third of all registered voters, and nearly six-in-ten, 58%, now identify as Democrats or lean Democratic. The much larger group of voters who do not have a four-year degree is more evenly divided but over the past twenty years have steadily been moving toward the GOP. Interestingly, 53% of white voters with at least a four-year college degree affiliate with the Democratic Party or lean Democratic as compared to 42% who identify as Republicans or lean Republican. Pew Research shared that as recently as two years ago, this was evenly split with 47% identifying with each party. Continued racial divisions in partisan identification. About half of white voters, 51%, identify with the GOP or lean Republican, while 43% identify as Democrats or lean Democratic. However minorities have continued to look to the Democratic Party; African Americans – 84% Democratic to 8% Republican; Hispanics – 63% Democratic to 28% Republican; and Asian Americans – 65% Democratic to 27% Republican. In short, the Democratic Party increasingly represents what America will look like and the Republican Party increasingly reflects our nations demographics from the 20th century. This poses a long term problem for the Republican party because while 69% of the electorate is white, just 20 years ago it was 83%; this represents a 14% drop. The changes in these demographics are most noticeable in key Republican states like AZ, TX and FL. Millennials, especially Millennial women, tilt more Democratic. Nearly six-in-ten Millennials, 59%, affiliate with the Democratic Party or lean Democratic; 70% of women and 49% of men. This is also problematic for Republicans because Millennials are expected to outnumber Baby Boomers by 2019 and more of them are voting with each passing election. For example, in 2012 approximately 22 million Millennials voted and in 2016 the number climbed to 24 million. You can read the full report here, Wide Gender Gap, Growing Educational Divide in Voters’ Party Identification.